ď ą Hemis Festival is celebrated every year on the 10th day of TseChu, the lunar month of Tibetan calendar. It is the biggest religious festival in Ladakh. 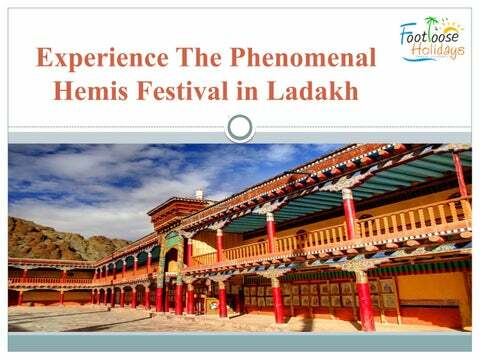 ď ą Many tourists visit Ladakh especially to experience the famous Hemis Festival, which gives an insight into the culture & tradition of Ladakh & Tibet. Why is the Hemis Festival Celebrated? ď ą The festival is observed on the birthday of Lord Padmasambhava also known as Guru Rinpoche. He has a high reverence in Tibetan history & culture. ď ą It is believed that Lord Rinpoche eradicated demons & evil spirits from Ladakh in the 18th century. Also, he was the one who introduced Buddhism into the Himalayan kingdom. ď ą A colorful fun-fair is held during the two-day celebration of the festival. ď ą A crowd of kids, men, women & old people gather in the Hemis Monastery to offer prayers & celebrate the day. The Cham Dance adds the charm to the celebration & is the center of attraction. People celebrate until the dusk. On the second day, people are still enthusiastic & tend to continue the celebrations from the previous day. The tune of the tranquil music will eventually envelop your mind to make you dance.  The people destroy the demonic effigies & structures to mark the victory of good over evil.  The broken pieces of the structures are thrown away in 4 different directions by black hat dancers. It is a part of the ritual during Hemis Festival in Ladakh. 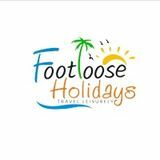 Visit Footloose Holidays and Book your Leh Ladakh Tour today!